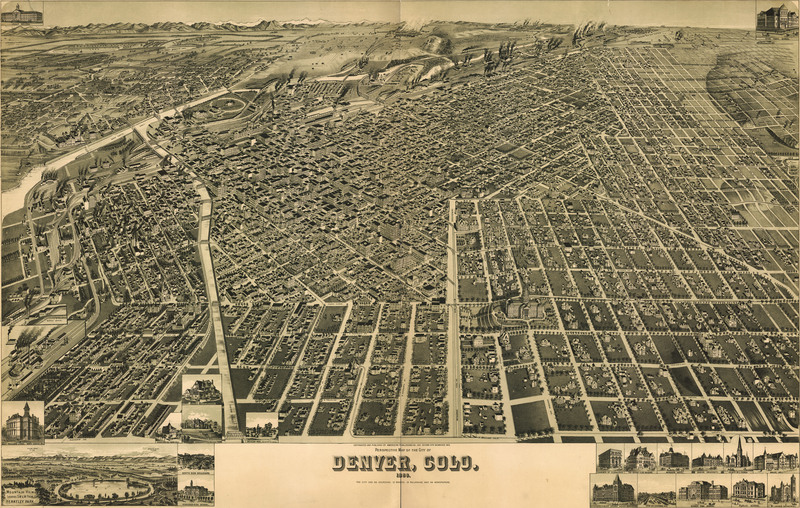 H. Wellge's birdseye map of the City of Denver from 1889. 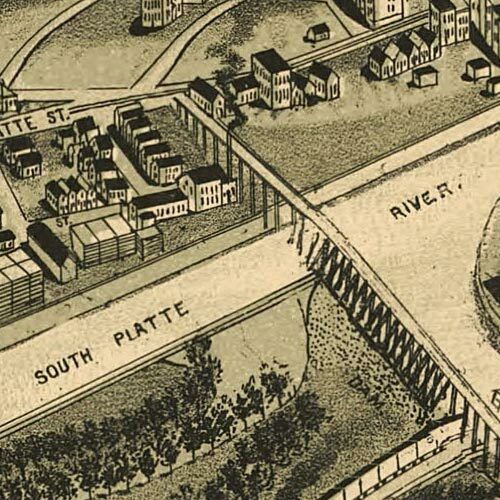 Wellge's birdseye map of Denver [gmap] in 1889. Always good to get another Big Map, and this one of Denver is certainly a good Big Map. But could be time to take out the mention in the header of “New Maps 5 Days a week”. Sounds too much like a work schedule anyway, doesn’t sound like a lot of fun, meeting that schedule. More fun just to get Big Maps whenever is right, as a surprise even. Point well, taken, Peter. Yeah, I’ve been remiss in updating, and last year’s “mega update” got shelved. I have around 2,700 new maps optimized and ready to go. That’d set us up for right around 10+ years of 5 day a week new content. Writing a blurb about each one, though, is daunting. To ballpark it, it might take on the order of around 200 hours? I’ve thought about just releasing the maps without any commentary — and I still might. That seems kind of lazy on my part though. If you have any thoughts about that, either pro or con, please do let me know. Thanks for getting in touch, Peter. Changing the banner, for now, while I try to get things sorted. EDIT: Header has now been changed to a provisional one (as per your suggestion). Thanks for pointing that out. That was embarrassing to have overlooked. Lazy? Can’t imagine anyone would say you’re lazy, just looking at past maps, not to mention the 2,700 others. Probably difficult for any of us to understand our own value. But I know that what I remember of past maps is just the maps, not what you wrote about the maps. Nice always to have your descriptions and information, but definitely less important than the maps themselves. As you’d probably agree. So I’d vote for a mass release of maps, just need the names to be meaningful (place and date). No need I’d say for you to put yourself out more writing descriptions, I think everyone would agree you’ve done enough work already. And I’m sure nobody would say you’ve been lazy.